Shopify is an online platform where you can fulfill your dream of making and running a successful eCommerce store. They have established themselves in the year 2006 and from there till today they have already made more than 250000 active eCommerce stores. So I think you have already made an opinion how fast they have become so much successful and at the same time so much popular. All these successes have been possible due to their hard works and at the same time for their services which they are providing to their clients. 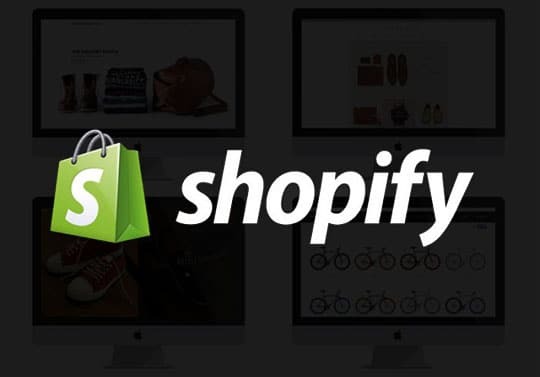 This article will be a full review of this successful eCommerce making site called Shopify. We will learn and compare their plans and features which we are getting from them. First of all, before I tell you about their detailed features and plans; I should include one thing, that they are having 14 days free trial version on their each plan. So, you must go for trying out their 14 days trial version for understanding their whole working systems. And if once you are satisfied, then only you can go for their paid versions. They are having total 4 plans which are having their own benefits and advantages. Their second plan of Shopify is known as the ‘Basic’ plan which will cost you $29.00/month. From this plan and onward, you will get a fully featured eCommerce store. On this Basic plan, you will get the below extra features in compare to their ‘Lite’ plan. From this plan, you will get the online store facility. You can create your own website and blog and it will definitely cut down your budget for taking hosting outside. And not only that, it will also be a very good option in terms of security. Shopify uses best networks, servers as well global CDN, which in return will ensure your eCommerce site more fast and reliable. You can use and point your own domain to your Shopify store. You are allowed to use your existing domain. And if you want to purchase a new domain they can help you on that also. You will also get Free SSL certificate. By activating their SSL certificates, you can very easily publish anything using the secure HTTPS protocol. So this will again prove to be a very helpful factor for your online storefront. They are having Fraud Analyzing App. By using their fraud analyzing app you can prevent yourself from getting fraud orders and can save yourself from making losses. You can also get the option to offer gift cards to your customers. In this plan, you can get more advanced and professional reporting system. They will also provide a shopping cart abandonment recovery tool. Advanced report Builder: With the help of their advanced report builder, you can build your own custom daily to daily activities and reports, including your all orders and sell reports. Real-time carrier shipping: In Real-time carrier shipping features, you can get lost of help. With the help of this feature you can ask for exact fare calculations which will be genuinely applicable for those particular orders as per their destinations, by applying the carrier-calculated shipping rate. Not only that you can also select a good and reputed carrier company who will deliver your goods to the customers. And lastly, I will say about the awesome SEO features of Shopify which you will get in all the above 4 plans. You will get editable title tags, with Meta descriptions and URLs for your pages. You can also able to edit and adjust ALT tags for all your images. The image name is also customizable. Your store will include automatically generated sitemap.xml and robots.txt files. Shopify also automatically generate canonical URL tags for each page to prevent duplicate content. I have also done many market reviews and also reviewed many websites running in Shopify. In each case, the SEO part is always the out of the box and you cannot complain anything about it. Also in a recent online eCommerce meetup, I have discussed the same with the SEO department of Complete Web Resources. They are also amazed by the inbuilt SEO options of Shopify. I really kept a true verdict before you regarding the services what Shopify are providing to their customers in terms of their features and plans. I have talked with lots of their active users and listened to their verbal experiences with Shopify and tried to share with you. The features I have most liked are the combination of an eCommerce store with a blog, the support for SSL and CDN and the website security and SEO. What do you like most of the Shopify? Please let me know using the following comment box. The features I have most liked of Shopify are the combination of an eCommerce store with a blog, the support for SSL and CDN and the website security and SEO. A recommended product overall. Oberlo App for Shopify – Start your Drop Shipping Business Today!